Attorneys for Donald Sterling filed a petition with a state appeals court requesting an order blocking the proposed $2 billion sale of the Los Angeles Clippers, but it was denied. Sterling's attorneys had requested an immediate stay of Los Angeles Superior Court Judge Michael Levanas' ruling that cleared the way for Shelly Sterling to move ahead with the sale to Ballmer. In response to the filing, Adam Streisand, an attorney for Ballmer, sent a press release saying, "We won this trial because Donald Sterling is on an egotistical crusade to destroy the Clippers if he can’t keep the team, and he can’t." "We will win the appeal for the very same reason." In papers filed with the state appeals court, Sterling's attorneys contended the sale is expected to be finalized Aug. 15, but could realistically be finalized at any time, since Levanas' ruling became final on Thursday. Sterling's attorneys contend in the court papers that allowing the sale to move forward will mean the loss of "a unique and irretrievable asset." On July 28, following weeks of testimony in a non-jury trial, Levanas ruled that Shelly Sterling had acted properly in removing Donald Sterling as a trustee of the Sterling Family Trust that owns the team. The move came after two doctors examined Donald Sterling and determined him to be mentally incapacitated. Sterling contended he had been duped by his wife into submitting to the medical tests as part of a plot to have him ousted from the trust so the sale could move forward. Levanas, however, said Shelly Sterling was motivated "solely by her concerns for his well-being," Levanas said, adding that despite the couple's estrangement, there remains genuine affection between the pair. There was no "secret plan to remove (Donald Sterling) from the trust," the judge concluded. The judge also shot down Donald Sterling's contention that his revocation of the family trust removed his wife's authority to sell the NBA franchise. Sterling has also filed a separate lawsuit challenging Shelly Sterling's right to sell the team based on corporate law. He also has a civil rights lawsuit pending in federal court against the NBA, claiming he was being railroaded out of the league in violation of his constitutional rights. Donald Sterling, who purchased the Clippers in 1981 for $12.5 million, has been under pressure to sell the team since the release of recorded conversations between him and companion V. Stiviano. 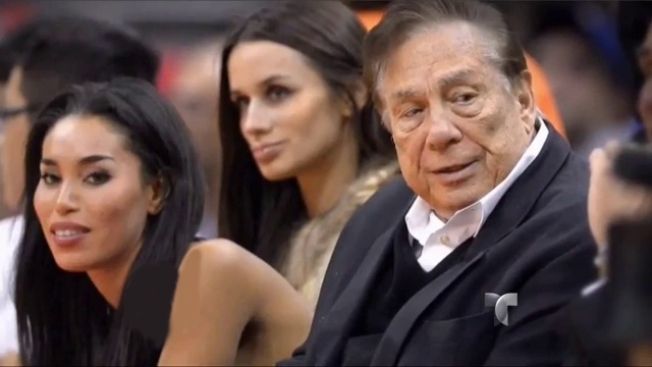 In those conversations, Sterling criticizes Stiviano for having her picture taken with black people and tells her not to bring them to Clippers games. The comments earned Sterling a lifetime ban from the NBA, which initiated actions to strip the Clippers from him. The league put those efforts on hold pending a decision on Shelly Sterling's ability to sell the franchise.